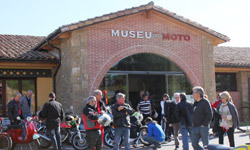 The Motorcycle Museum Private Foundation Mario Soler is a private non-profit entity assigned to the Generalitat de Catalunya Foundations Register. It counts on with several sponsors that under different ways, support the cultural project. We wish to specifically thank all of them in this presentation for their support and collaboration.